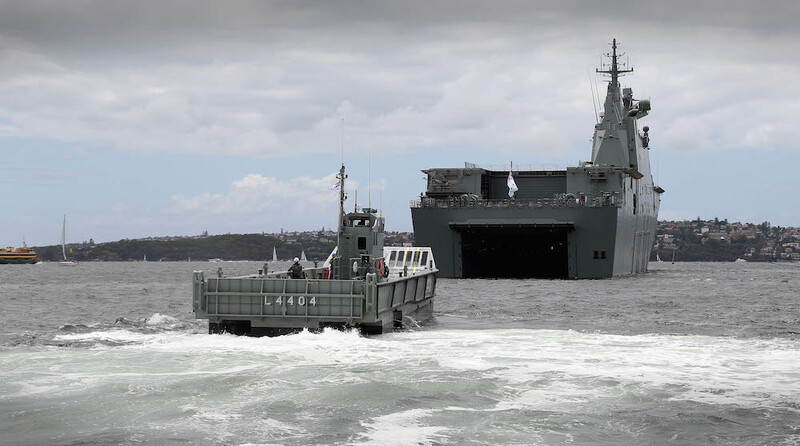 Navantia has the pleasure in delivering to the Commonwealth in Sydney the final batch of four LLCs. This is a major achievement, where Navantia has played an important role – that of Prime Contractor for the first time in an Australian program. Since 2007, Navantia has been working in three important programs for the ADF, namely the Air Warfare Destroyers (AWDs), Landing Helicopter Docks (LHDs), and the LHD Landing Craft (LLCs), under different contractual schemes to deliver to the best of its ability. On 16th December 2011, Navantia signed a contract with the then Defence Materiel Organisation (DMO) under JP 2048 Phase 3 to build and deliver twelve LHD Landing Craft (LLCs) to the Commonwealth. 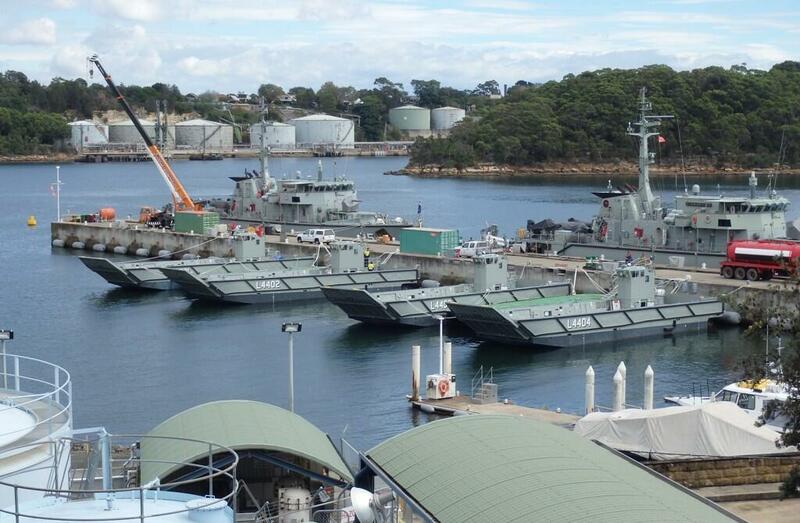 All twelve have now been delivered to HMAS Waterhen in Sydney on or ahead of schedule and to budget. 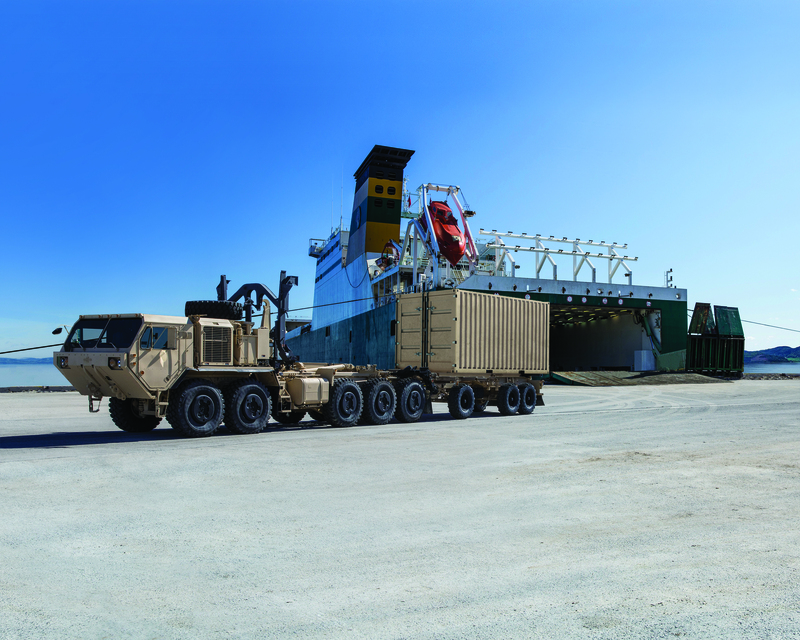 The LLCs were built and tested in Cádiz, Spain, and shipped out to Australia. Navantia understands that the first eight units are in operation with the Royal Australian Navy (RAN) and are performing to the full satisfaction of Navy, having achieved various missions during sea trials with HMAS Canberra (L02), which has also been commissioned into the RAN. Her sister ship, HMAS Adelaide (L01), is due to be commissioned in Sydney on 4th December 2015. Since delivery of the LLCs, Navantia has provided in-country support and is committed to ensuring its availability for service at all times. This commitment will be maintained by Navantia Australia Pty Ltd, which is also assisting BAE Systems with Through Life Support of the LHDs. Navantia is fully committed to Australia and will contribute to projects as far as possible within its proven capacity and ability to supply. We look forward to working with the Commonwealth and industry even more closely than before, to achieve the program goals that we totally share. In this regard, Navantia is currently engaged in the SEA 1654 Phase 3 Maritime Operational Support Capability tender process, and is working in a collaborative environment in the SEA 5000 Future Frigate program and the SEA 1180 Offshore Patrol Vessels project. The LCM-1E is a class of amphibious Landing Craft, Mechanized (LCM) manufactured by Navantia who also build the LHD hulls. In Royal Australian Navy service these craft are purpose built for the Landing Helicopter Dock (LHD) and are referred to as LHD Landing Craft (LLC). These landing craft are intended to deliver troops and equipment onshore where there are no fixed port facilities. They have the ability to be used Over The Horizon, which means that the LCM-1E can transport between the ship and the coast starting at a distance greater than that marks the horizon, i.e. greater than 20 nautical miles (23 miles/37 km). To perform this type of landing, the LCM-1E are equipped with a radar navigation, GPS, gyro needle/magnetic and HF communications equipment, VHF and UHF. Another important point is the speed and autonomy. The propulsion is by two engines MAN of 806 kW and two water jet propellers (waterjets), offering a speed of 22 knots/25 mph/41 km/h without load and 13.5 knots/15.5 mph/25 km/h laden, with a range of 190 nautical miles (219 miles/352 km). The LCM-1E incorporates a stern gate, facilitating the loading/unloading of rolling stock within the flood levee, not necessary the output of the front two boats to load/unload the rear, with a limit of 12 tonnes maximum for the transfer of vehicles one barge to another. The watercraft will enable transport of troops and equipment from the LHDs to the shore including where there are no fixed port facilities.